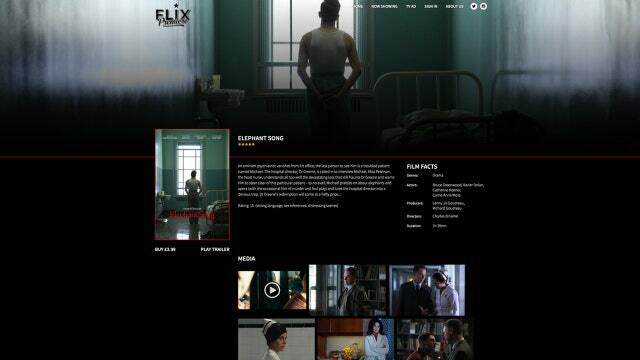 A new streaming service called Flix Premiere is set to compete with Netflix, Amazon, and movie theaters. A new online streaming service called Flix Premiere has just launched in the United States, but unlike other video-on-demands services, this one will only release independent, “never before seen” movies. “The truth is that you have the blockbusters in the theaters. Then you got movies that are great for TV but all these independents out there don’t have a direct platform. So, a lot of movies get made and they don’t recruit their investment and great movies don’t get seen,” Martin Warner, founder and CEO of Flix Premiere, tells FOXBusiness.com. Flix Premiere, a UK-based company, is about to enter a competitive pool of other streaming services in the U.S. Netflix (NASDAQ:NFLX) is currently the industry leader with subscribers growing at a steady pace. According to Wall Street analysts at Trefis.com, subscribers are expected to increase from 50 million in 2016 to nearly 62 million by 2022. In May 2014, NetFlix increased its subscription charges from $7.99 to $9.99 per month. Amazon (NASDAQ:AMZN) meanwhile doesn’t provide video streaming as a stand-alone service but as part of its Prime Membership of $99 per year, which translates to around $8.25 per month. YouTube Red, another streaming service for original content, also charges $9.99 per month. “We’re not a subscription model like some of the competitors. We’re a pay-per-view, or what I like to say: You visit the box office and you buy a ticket and watch a movie,” adds Warner. Each movie will cost $4.99 and part of the revenue with go directly into the hands of filmmakers. “Right from day one, they get to see the transactions and see the audience that they’re generating,” he adds. The new digital cinema is currently available in the UK and U.S. but plans to expand to France, Germany, Canada, Spain and Australia in the next two quarters. Warner estimates that they will have between 2 million and 2.7 million accounts of people buying regular movies.